My name is Amanda berry and I'm a surgical tech! In 2012 I joined a Get Fit challenge at cycology fitness to lose weight that I had gained from having my little boy, little did I know it would change my life forever. It was a three month challenge and I was top female overall with a total of 33 pounds and 29.5 inches loss in three months !!! 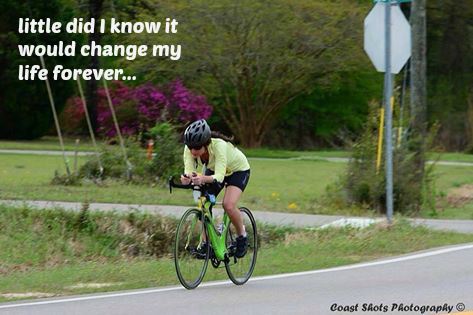 After the challenge I was introduced to triathlons, I had no clue what it was or what to do but it was a new challenge that I had set my mind to that I was gonna do ! My biggest tri accomplishment was finishing my very first race, something I thought was impossible and that day I got the mind set that Nothing is impossible !!! I have done three tris several duathlons and 5ks ! Trained for a half marathon And on the way to doing my first 70.3! !